Keep eye care health and good vision habits a priority. Schedule an eye appointment with an eye doctor every year for your child. Tell the eye doctor if your child is experiencing any problems reading or in school. Ensure adequate lighting and an upright posture when reading. Reading material should be held at an angle and at Harmon’s distance, or no closer than the distance from the elbows to the knuckles. Limit TV, computers, and video games for school-aged children; avoid TV for babies and preschoolers. Vision First Foundation supports these guidelines with the non-profit organization LimiTV. Take frequents breaks when viewing the computer. Follow the 20-20-20 rule: Every 20 minutes, look at least 20 feet away for at least 20 seconds. Teach children to never throw anything at a person’s face or head. Teach children to keep their hands, feet, and objects to themselves and to never touch another person’s glasses. 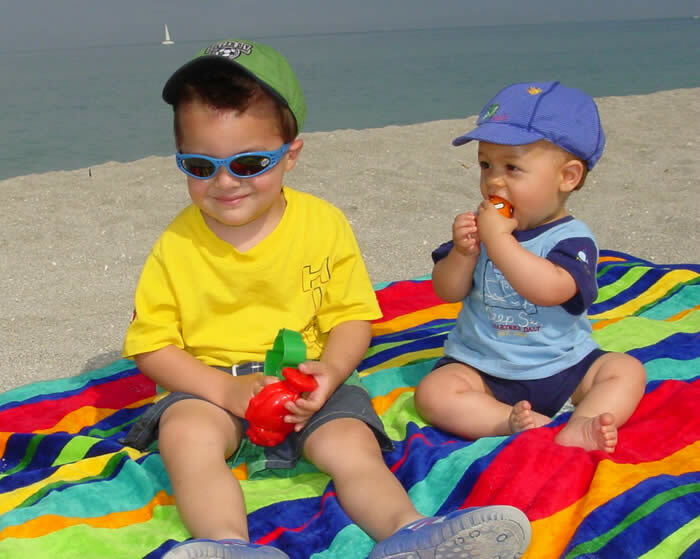 Wear sunglasses when outside to protect the eyes from the sun's harmful UV rays. Encourage active and creative play indoors and outdoors. "Sow a thought and reap a purpose. Sow a purpose and reap an action. Healthy habit tip: Sunglasses protect the eyes from the sun's harmful UV rays.